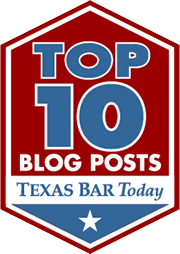 In Texas, discovery in criminal cases is limited. The State does not have to turn over much of the evidence used to prosecute. For example, in Texas the defendant does not have the right to obtain a copy of the police report in a case. Attempts by defense counsel to obtain discovery are frequently thwarted by judges and prosecutors. Defendants have less discovery rights than parties in a divorce case. Why? We are not prosecuting Al Qaeda in Texas State Court. There is no national security at stake. The State has no need for secret evidence. Defense Counsel should not be at the mercy of the prosecutor and hope that an “open file” policy exists. Open file policies guarantee little. For example, many DA’s office will let you “view” the file, but not copy it. Texas has an embarassing record of convicting the innocent. Until we demand transparency in prosecution that will not change. Coincidentally I just now noticed that Grits posted an article on Texas Discovery in the same hour that I posted this. Grits highlights a new report by The Justice Project that details the discovery problem in Texas and offers great solutions.